If you are looking for a well-rounded suspension lift without breaking the bank, consider Bilstein shocks and coilovers. Bilstein is one of the most common options for digressive shock absorbers across many platforms. 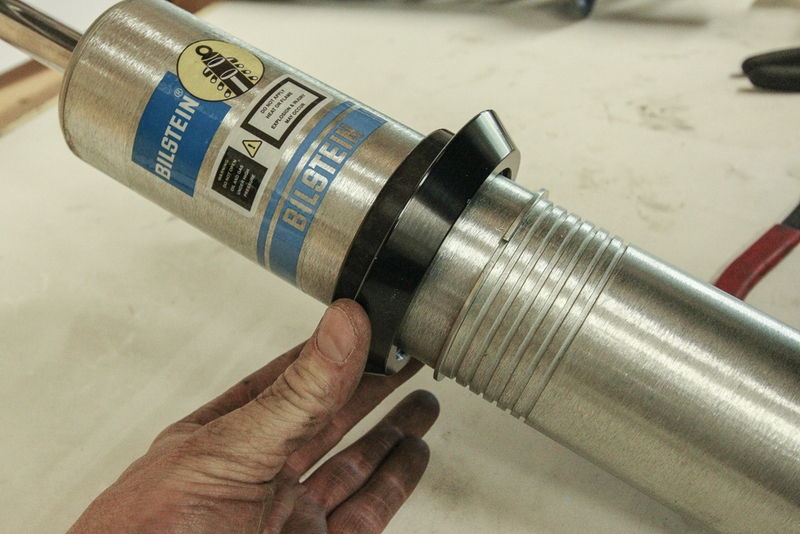 Developed in both North America and Germany, Bilstein is a brand you can trust to run on your 4Runner. The install was done with 285/55R20 (32.3″). Tire Size: 20X9 with an offset: 35 and backspace: 6.350. Absolutely no rubbing in forward/reverse after a few days of driving. This 4Runner is strictly a street princess so we probably won’t test much off-road flex on this set-up. If you are looking to run 32.7″ (285/70R17) tires with this kit, you can but you will likely have some trimming (fender liner push, and possible BMC) to do. If trimming is not your thing, then you should stick with a mid-level 32.1″(275/70R17) tire or smaller depending on wheel size. Please check out our tire size guide if you have any questions on tire and wheel size. For an advanced suspension with more flexibility for use with larger tire size, consider looking at a threaded adjustable suspension like Icon, KING, Fox, Radflow or the Toytec Boss coils. 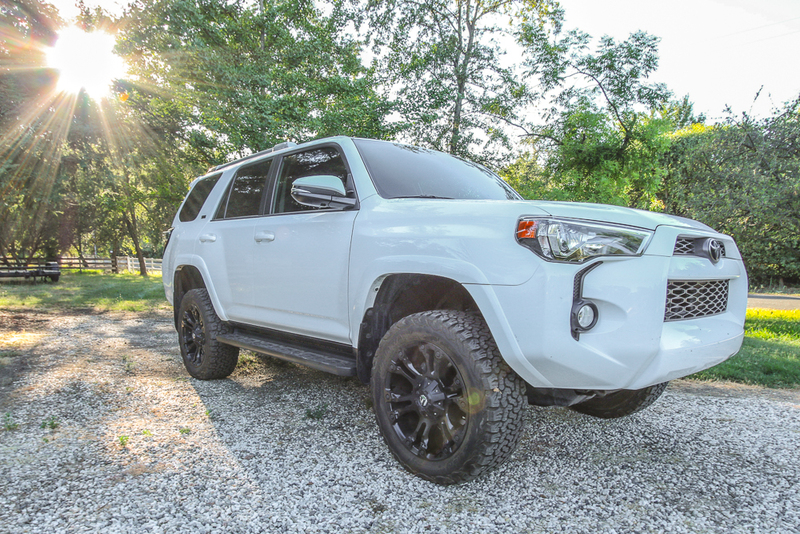 The 6112 and 5100 combination is a great option for many 4Runner owners out there who are looking for a mid-range suspension lift. You can expect an extended 1-1.5″ travel of shock but won’t truly see that travel until you mount UCAs (upper control arms). Expect a substantial amount on-road stability and performance, though. With 6112s, 5100s, and Icon springs, your body roll, and nose dive will decrease and your cornering stability will increase. 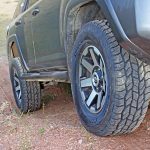 The 6112s offer 0-2.65″ of lift on 4WD 4Runners and 3.25″+ on RWD 4Runners with 7 snap-ring grooves and clip settings for ride height adjustment. Many websites quote 0-2.5″ and 0-2.65″ of lift, but the height really is closer to 2.65″ of lift on the highest clip setting. 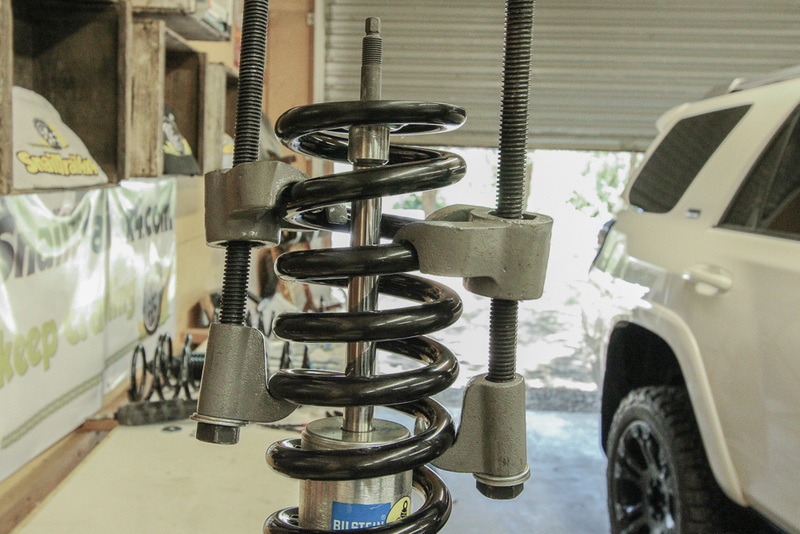 The Eibach-sourced 600lb spring can be adjusted to desired ride height. We can’t comment on how the actual spring rate is affected under load, as we do not have an aftermarket bumper, which, etc installed. For matching rear shocks, you can go with the Bilstein 5100 1.25-2″ lift (33-187174) or the Bilstein 5160 1.25-2″ lift (25-227611). The Bilstein 5100 is a monotube shock with digressive valving that offers increased damping both on and off-road while maintaining a comfortable yet stable ride. The 5160 is a similar shock just with an added reservoir and is closer in terms of valving to match that of the 6112. If you are looking to push your suspension a little harder, consider the 5160. Plenty of options for springs out there, but we had a set of ICONs left over from our Icon stage 2 kit so they were free. You can go with the OME 2895 2″ springs, Dobinsons C59-327 1.7″ spring, or any other spring that will fit your application best. The ICON 52700 spring is a 2″ spring that is well priced for what you get considering the name. I would like to have a Good and Bad section but ride quality is pretty subjective. The ride quality on-road has been improved. Factory ride quality is somewhat still felt, although things do start to tighten up a bit (in a good way). Noticeably less body roll and less nose dive on braking. This setup feels similar to a test drive I had in 2016 TRD Pro. 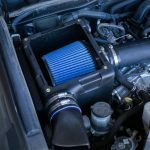 The Bilstein 4Runner-tuned suspension ride quality remains closer to an OEM feel as opposed to a stiff Icon suspension. 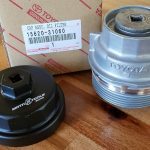 This may be a good or bad thing depending on how you want your 4Runner to perform on/off-road. Daily driving the Bilstein 6112/5100 suspension compared to an Icon will be much more comfortable. But, comfortable is relative here. I have daily driven with the Icon stage 2 for over a year and enjoy the stiffer ride over the looser/floaty OEM feel because I mostly HATE body roll. My girl, on the other hand, barely notices it. I would rather get jerked around once with a tight suspension than wobble around 3 or 4 times with a Cadillac feeling suspension. That is how this suspension rides, more like a Cadillac. It’s pretty plush, somewhat responsive, all while decreasing roll and dive. Important to note, I have not experienced any steering wheel shake at highway speeds (before balance/alignment). For city driving, the 6112/5100 valving seems semi-firm over gentle rollers and corners smooth as well with minimal body roll, although you can still feel the roll. The same goes for riding over potholes, uneven pavement, speed bumps, and exiting driveways at an angle. It’s more firm than stock, but not as stiff as a KDSS system with an Icon suspension maxed. This all may be improved with the 5160 shocks as it’s the closest shock in terms of valving but hard to say with no experience. I doubt it will make much of a “noticeable” difference to many people out there. 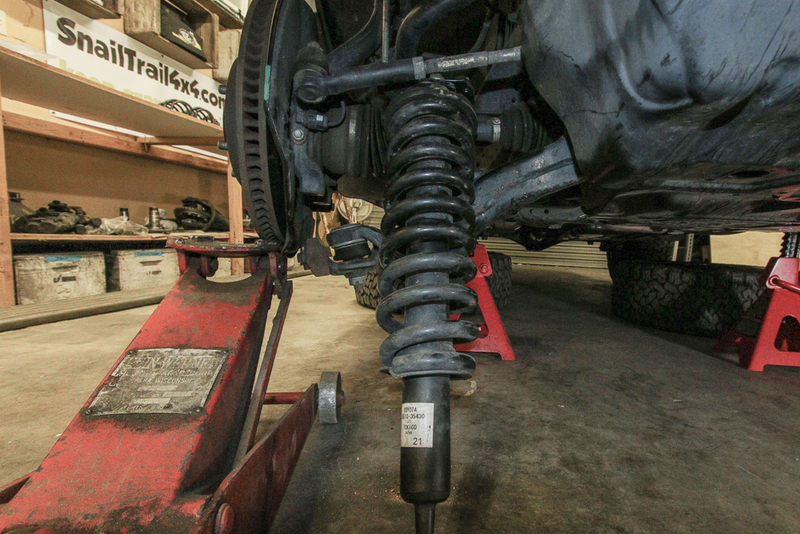 There is some give and take in finding the right suspension across all suspension events. Digressive, progressive and linear shocks all handle events differently and they all come with their ups and downs. There is no “best” solution out there. This is to be debated by only you on whether or not you want a stiffer ride or a smoother ride overall. Overall, this is a great introductory suspension lift for the 4Runner. You will maintain most of the factory ride while reducing roll and dive. If stock roll and dive is a “10” the 6112/5100 would be a “5”. Honestly, it will cut the roll and dive in half. The 6112 is somewhat adjustable so you can tailor the coilover to your desired ride height dependant on the rear spring you choose. If at a later time, you add a bumper or winch, you can swap in a heavier coil over your strut. This install assumes you know how to jack up your truck, safely use jack stands, and remove your tires. If you are not confident in this install, please take your truck to a local 4×4 shop and have them perform the install for you. 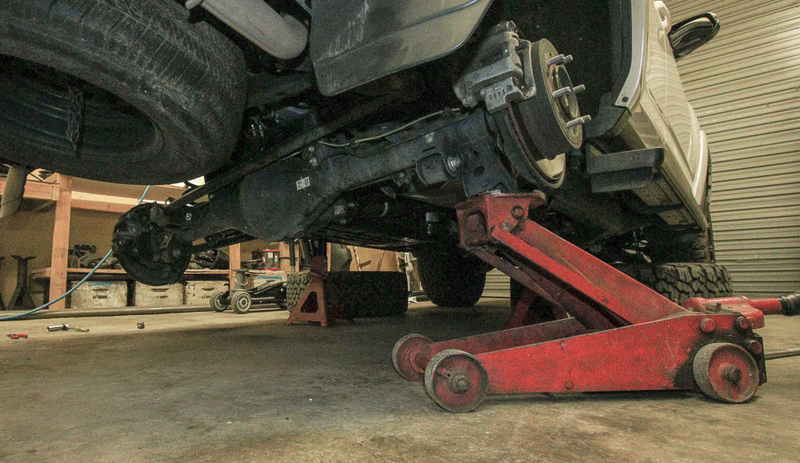 Once you have jacked up your truck and placed jack stands under your frame, start pulling apart your suspension components. The strut bolt is tight. 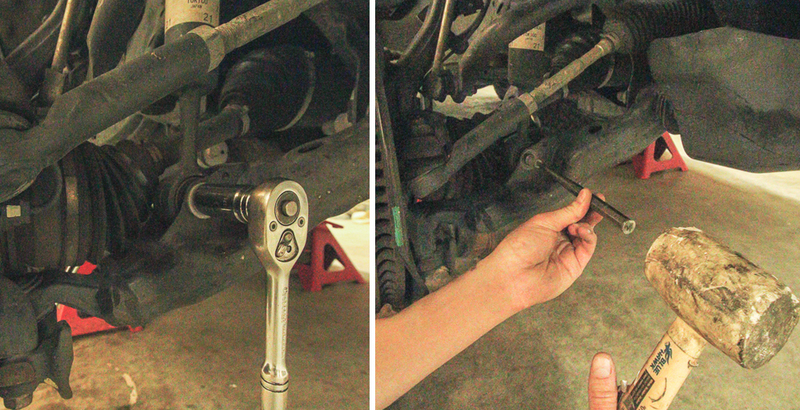 Once you have the strut bolt nut off, you can knock the bolt out using a punch. 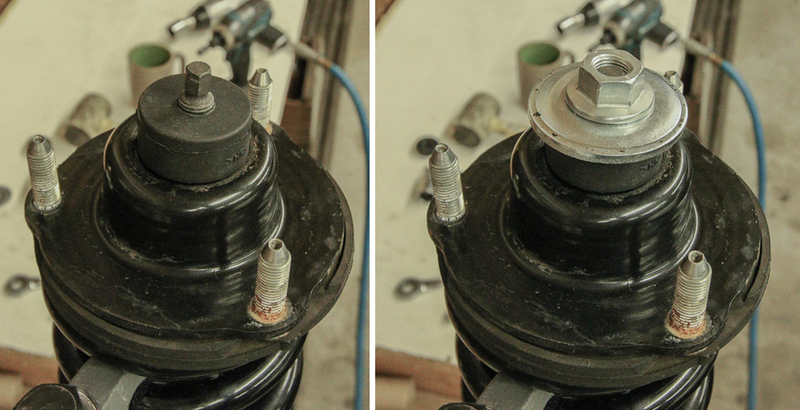 To prevent the strut from putting too much pressure on the bolt against the lower control arm, you can jack up the hub assembly. This way when you punch out the bolt, the whole assembly won’t fall down. This also prevents bolts from stripping. There are three bolts on top of the bucket. Using an open-end wrench, you can remove the nuts. This will free the whole strut and coil from the bucket. There are two lower knuckle mount bolts you need to remove. Once these are out, the whole lower control arm will be free from the hub assembly. To further separate the hub assembly from the lower control arm, it helps to jack up the hub assembly at the bottom of the brake rotor. This is much easier with two people. 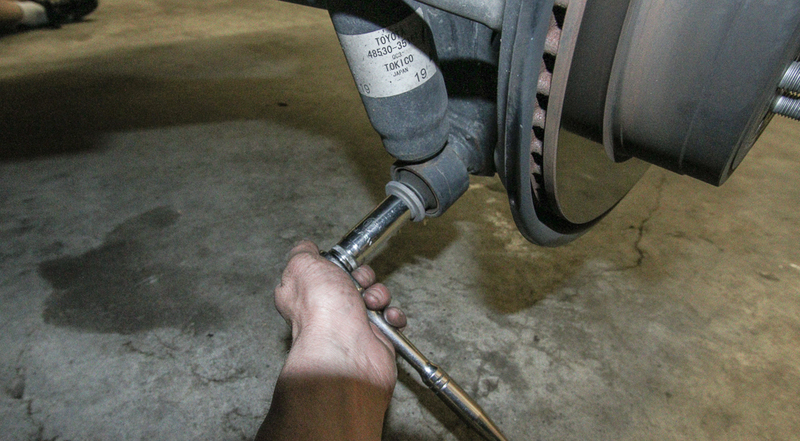 Jack up the hub and press down on the lower control arms, and the strut should fall right out. You can buy a set of coil spring compressors for around $50 or you can rent them for around $20. It makes more sense to just buy them as you will have them forever. 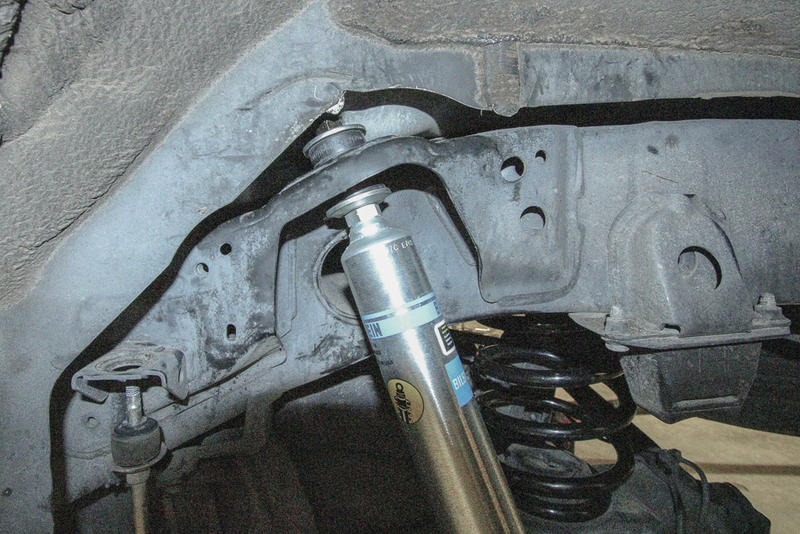 You need to compress the coil in order to remove the OE top mount from the strut. 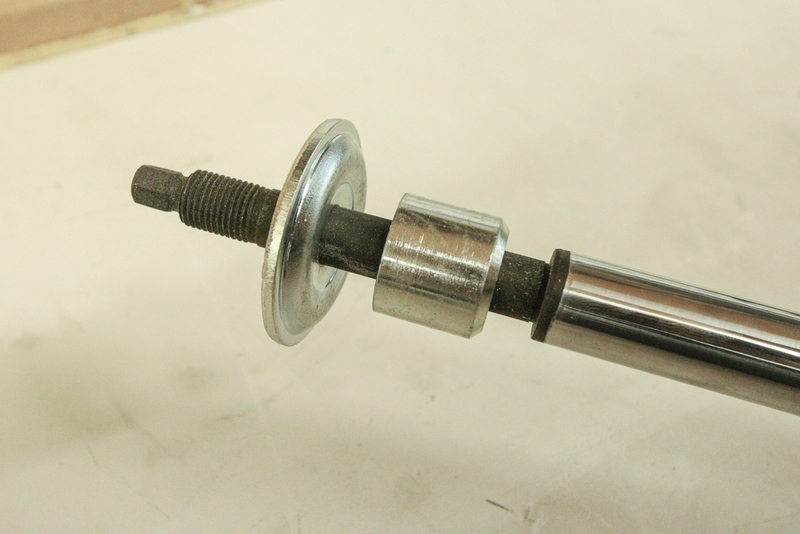 Using a set of vice grips and a 17mm open-end wrench, loosen the nut from the top of the OE top mount. Pull everything off and save the top mount. You can discard the OE washer, nut, and bushing. Bilstein provides hardware in their kit that will replace these. NOTE: You will need to keep the bushing that is on the underside of the top mount. That should stay attached after you remove the top mount. Don’t take it off. Just leave it where it sits. 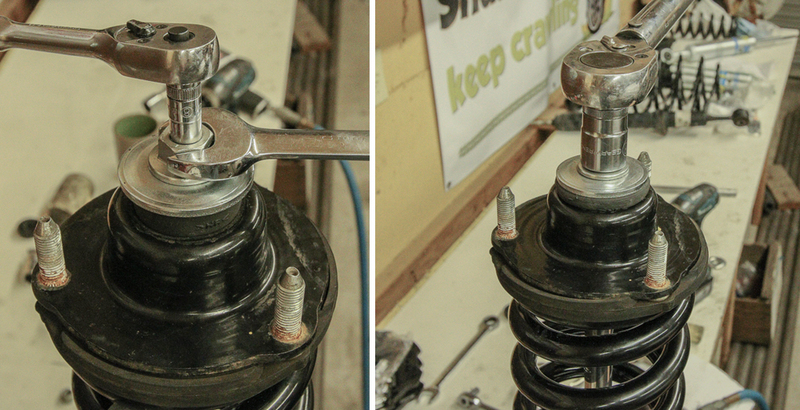 Using a set of snap ring pliers or a flathead screwdriver, move the adjustable clip to your desired ride height. In our case, we are moving the clip to the top ring. The spring seat just slides down over the shock tube into place and sits on the clip. Although, it’s not pictured. You want the text on the spring to be right side up, not upside down. The Bilstein text on the coil should be towards the top. 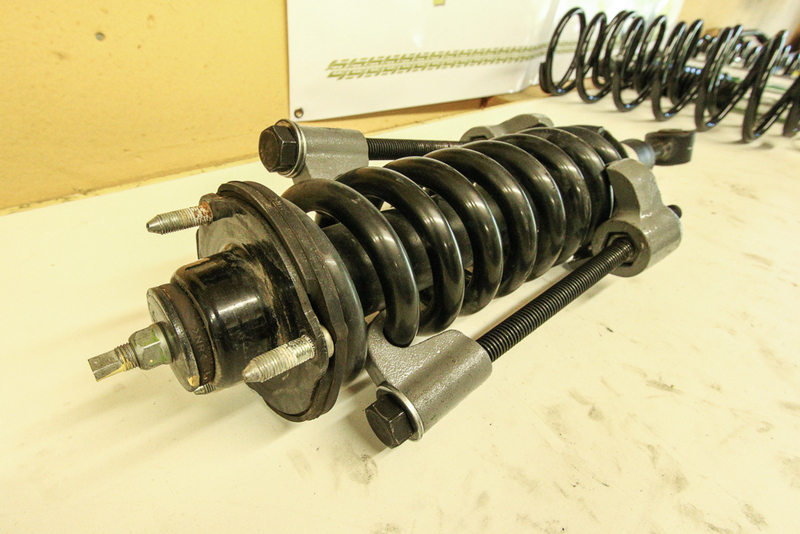 Coil spring compressors are not designed for impact wrenches or air guns but it will go much faster using an impact. We have used these compressors for a few different installs and on this day, we stripped a bolt (just something to think about). You will need these compressors to get the job done. After your coil is compressed, place the top mount on top of the coil. Add the bushing provided in the Bilstein kit along with the spacer and nut. IMPORTANT: Make sure that one of the nuts on the top mount is inline with the bottom of the strut. You want to make sure that the bottom of your strut will fit into place, along with your top mount fitting into place in the bucket. If you fail to align these, your Bilstein 6112 will not fit. You will need to loosen everything and make adjustments. Thread your nut down until everything is tight. You want to make sure the spacer and bushing underneath is not moving. Once you thread your nut down and everything is tight, then you can remove the coil compressors. Lastly, torque to 20ft lbs. That’s it for the front. 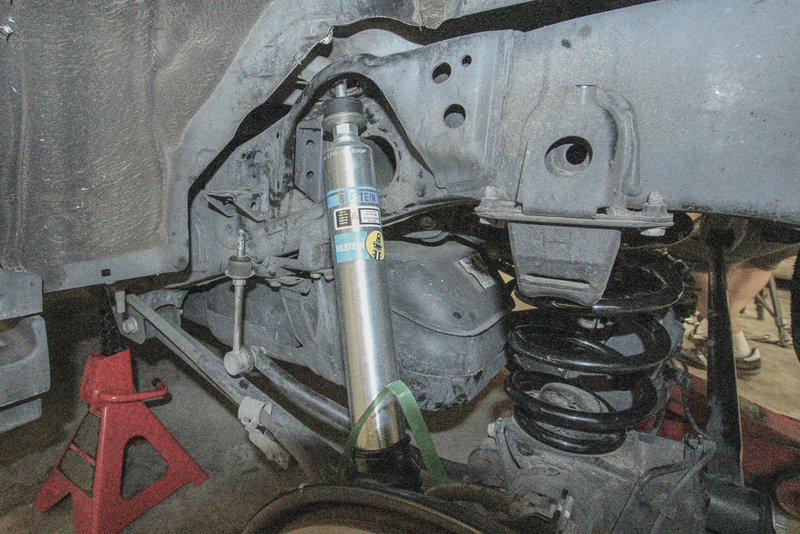 Throw your new Bilstein 6112 up into place. Place the bottom of your strut into position. Slide your strut bolt through and make sure your top mount fits into the coil bucket correctly. Thread down your top mount bolts and then thread in your lower knuckle mounting mounts. The rear should go quicker than the front. Removing the rear shocks are always pretty simple. 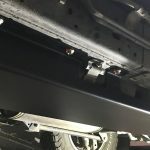 Removing the rear springs will be easy if they are factory and may take a little more force if you have larger springs or springs with spacers. There is very little room to work with around the top shock nut. You need an 8mm socket or small vice grips at the very top to hold the shock body still while turning the other nut to break loose. Be patient with this part of the process. Once you have the top nut off, the rear shock should fall right out. 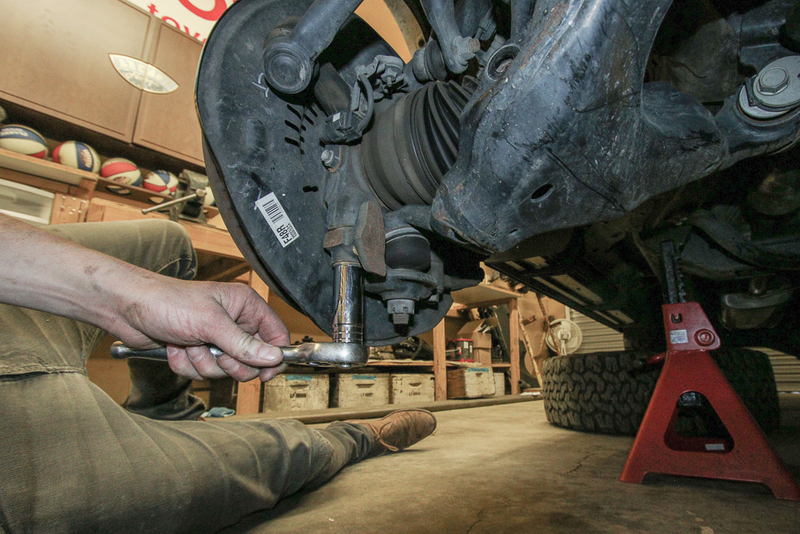 This is not necessary but in some cases, you may need to disconnect your sway bar from the frame in order to drop the axle low enough to remove the rear springs. 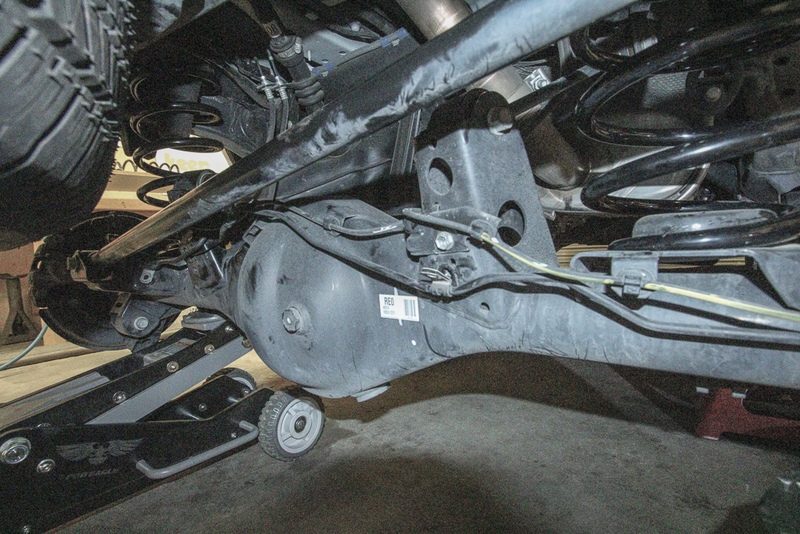 There are lines and brackets along the axle that you may need to disconnect in order for the brake lines to hang free. 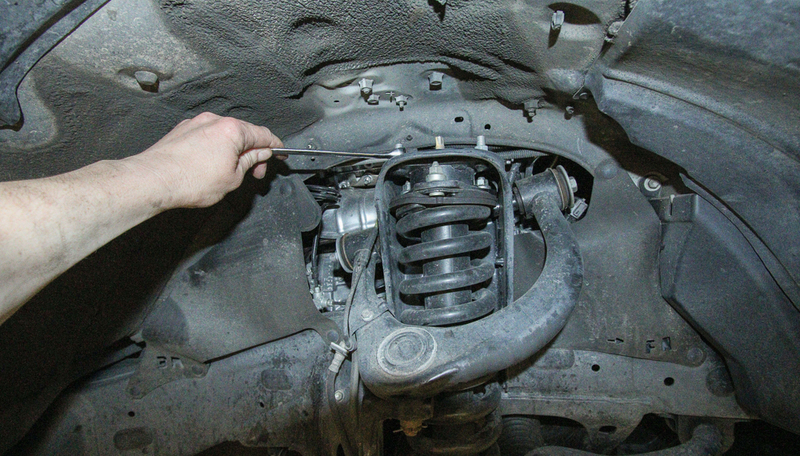 Extending the axle to remove the springs will stretch out your brake lines. 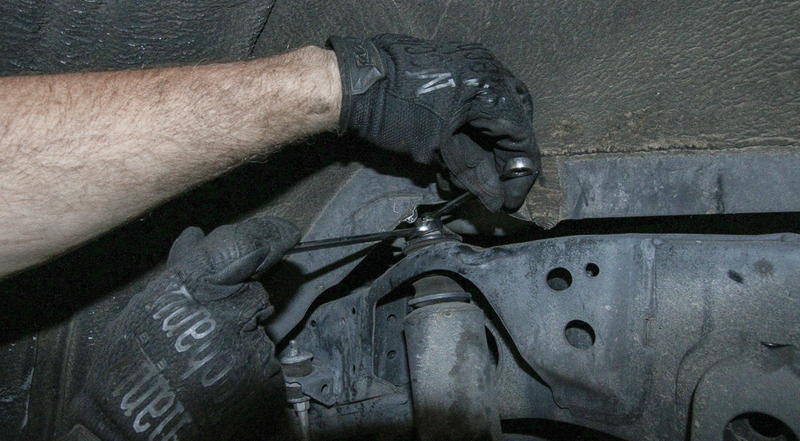 If you stretch your brake lines out too far, you risk damaging them. Do your self a favor and disconnect any cable/bracket that is connected to the axle that may prevent your axle from flexing before removing the springs. 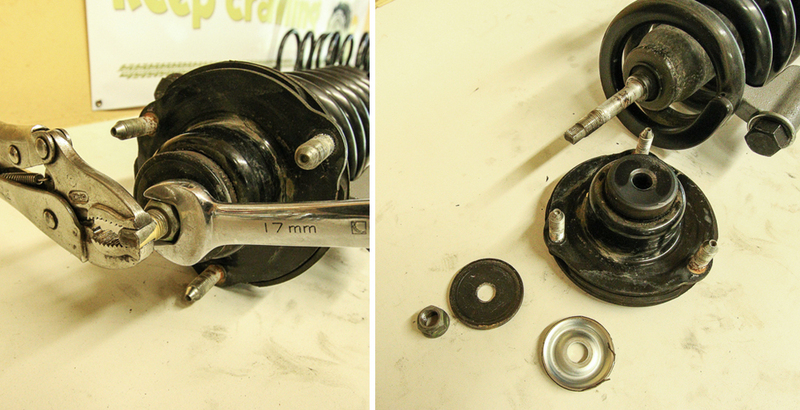 To get the rear springs out, jack up one side of the axle which will drop the opposite side. This will free up the spring and with a little wiggle, it should come right out. We had 2″ spacers on top of our coils, so it took a little more effort. If you have factory springs, they should come out really easy. 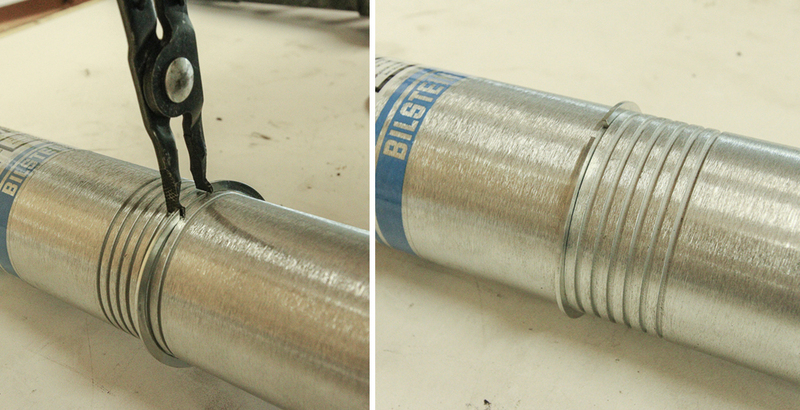 Remove the plastic sleeve on the Bilstein shocks. 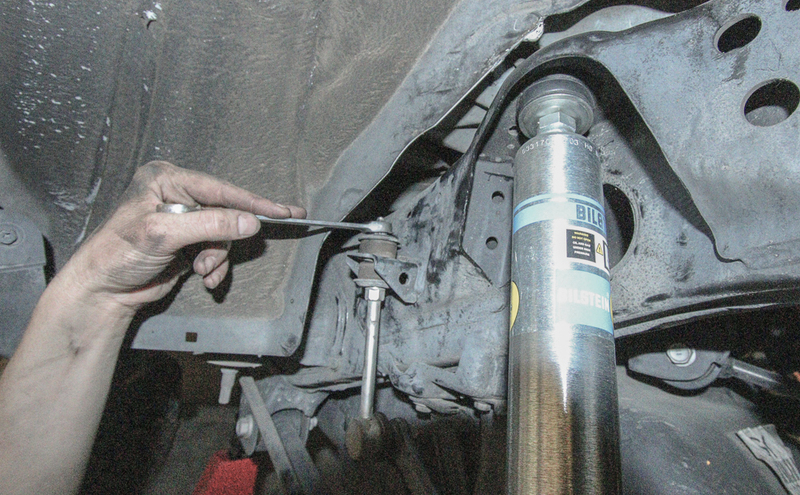 Place your Bilstein 5100 shock on the bottom shock mount first, and lightly thread on the shock mount nut. Then, add your washer and the bushing to the top of the shock. Place your shock up through the top shock mount and add your second bushing and washer. Thread on your top nut and then torque to spec on both the bottom and top shock mounts. 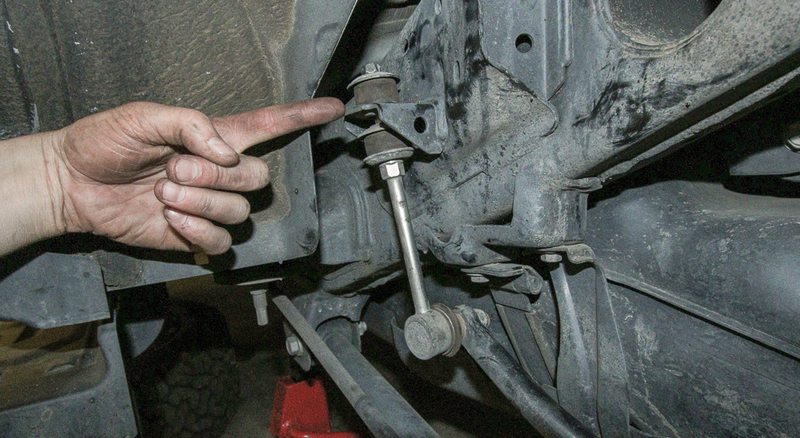 Reconnect your sway bar mount and you are all set! ALWAYS IMPORTANT. Double check the torque specs on everything and make sure you double check your brake line brackets. Pretty damn close to level. The front sits .5″ lower than the rear. If you wanted to level it completely, you can grab a couple shims from Ekstrom Design and throw a .25″ shim on top of the top mount. For around $1000, this is a pretty nice suspension for the 5th Gen.
Tom, you were right. I should have clarified the current tire/wheel setup on the post instead of going straight into the most common questions on 285/75R17. The install was done with 285/55R20 (32.3″). Absolutely no rubbing in forward/reverse after a few days of driving. 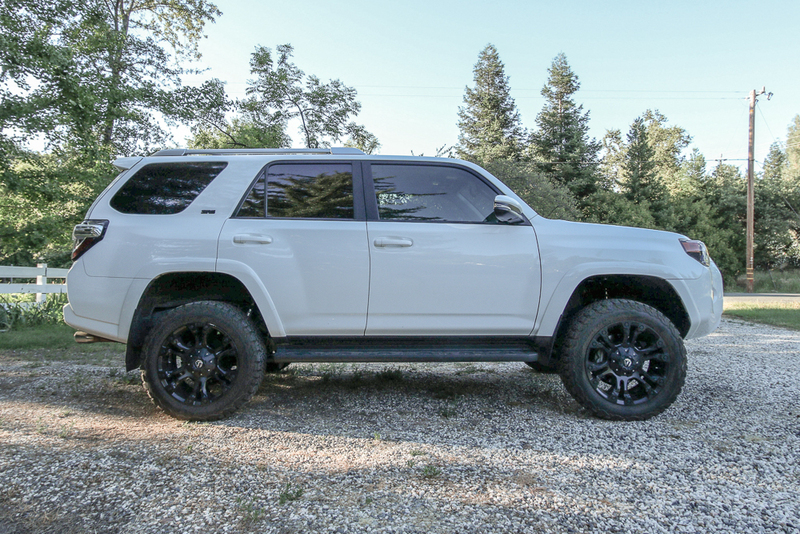 This 4Runner is strictly a street princess so we probably won’t test much off-road flex on this set-up. How did the alignment go without New Upper Control Arms? Any issues? Bilstein 6112/5100 Alignment Sheet: Check it out. For anyone that wants to understand how to read an alignment sheet, check out this video. I will do another post on this soon. i have an 18 ORP with KDSS. been looking to do 5100s all around. i heard its perfect for the streets since i hardly ever do any offroading. im still waiting to find that perfect setup before pulling the trigger.. thoughts? Great suspension for on-road and daily driving. From my experience with KDSS, this suspension working with KDSS would probably drive damn near perfect. That might just be the Goldilocks of suspension on the 4Runner. But, as always everyone has different taste in ride-quality. What means quality to one person could mean crap to another. 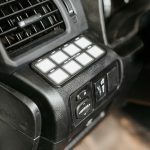 It would be nice if someone could chime in with this kit installed on a KDSS 4Runner. 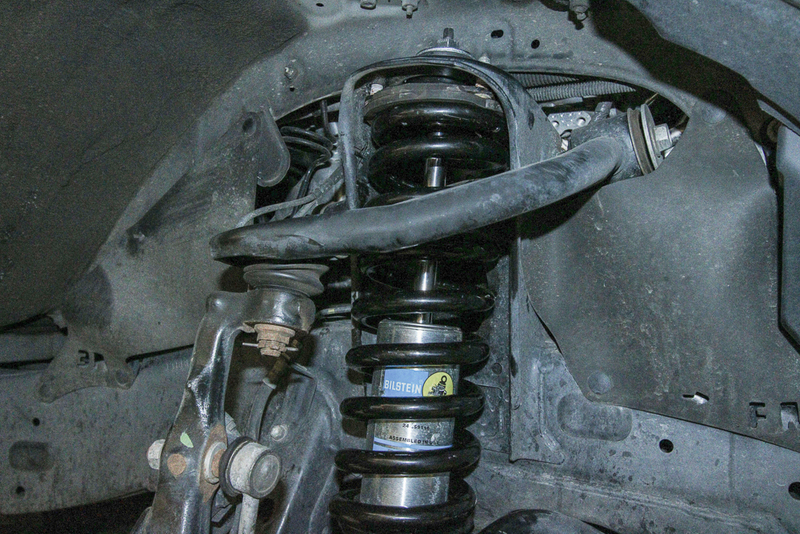 As for this suspension installed on the SR5 without KDSS, it is a very smooth, comfortable ride. This is really a great option for a lift while maintaining most of the factory ride quality while reducing body roll, nose dive and increasing cornering stability. Wow! The 285s fit without rubbing. That’s cool. Looks Great. What are the installed Wheel specs? Doing research right now for a small lift. FWIW I found an Old Man Emu kit from Rocky Road OffRoad that sells for about $970, shipped. Struts/springs in their kit are already assembled. I appreciate the write-up. I think this is something I can do at home. way to go kenny i don’t like dealing with spring suppressors. they scare the s–t out of me personally. one other thing is i found my front struts with new coil springs already installed on them so i did not have to deal with coil spring suppressors. probably a complete new guy questions, but is there any need for a diff drop or anything like that with a kit like this? No, anything under 3″ you don’t “need” a diff drop. It depends on what clip setting you have the 6112s set at but you can typically add a diff drop to any lift between 2-3″ and it won’t hurt. Just check out the before and after on your CV angels. 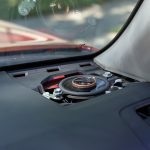 We do not have a diff drop on this 4Runner but it would not be a bad idea as we are sitting at 2.65″. 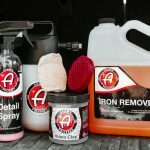 Do you know how the difference in the ride quality would be if you are removing the X-REAS and installing the 6112 in front and the 5100 in the back? Hello. I had my Bilstein 6112/5160 installed yesterday. This morning, I saw that the mechanic installed the front passenger Bilstein spring upside down! I called the shop and they said they can get it corrected not until next week. Is there any adverse effect on the shocks? I’m worried that my front passenger shocks will fail prematurely. The truck rides great though. I’m not sure how much, but it may or may not affect your valving. 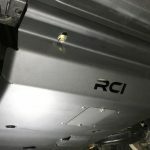 I would think that they need to be installed in the proper orientation as the damping rate is not the same for your suspensions jounce/bounce and rebound. When I called Bilstein before my purchase, they mentioned that the 6112 springs are Linear rate. 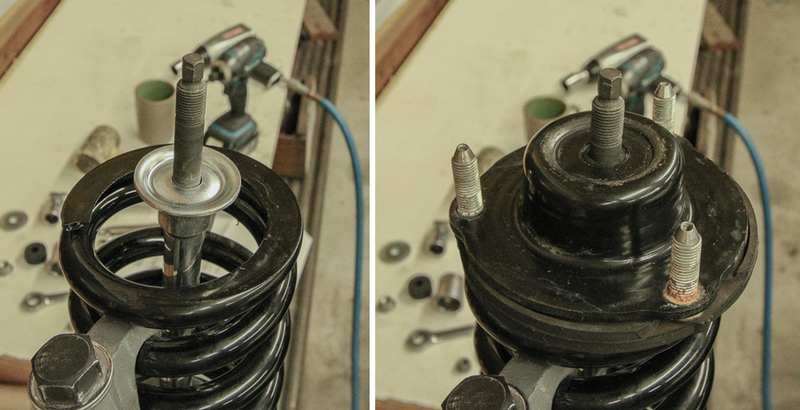 With my pas cars with full coilovers and linear springs, it didn’t matter if the springs were installed upside down. Maybe it’s different with 4Runner? I took a picture of the 6112 springs out of the box and reversed one spring via Photoshop and I couldn’t tell the difference aside from the Bilstein wording upside down. I appreciate the video. 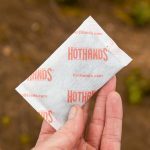 It helped me with my install! I wasn’t paying attention on the passenger side spring orientation. Can anyone advise if the sway bar needs to be relocated in the front using the 6112’s? Not needed for a basic installation on our end. Currently running this setup on my 2011 SR5. I opted for the 5160s instead of the 5100s. I’m super satisfied with how it performs… WAY less body roll, more confidence off-road, and enough clearance WITH a BMC to clear the 285/70/17 KO2 tires. The only thing that I ended up changing was adding an extra 0.5” of spacers on the front because the lift wasn’t quite as level as I hoped. I got these spacers (2 x 0.25” spacers each side) from Ekstrom Designs and there was just enough room on the bolt studs to fit smaller nuts (thread: M10x1.25) with loctite. Awesome stance and very happy with my decision for the suspension. What setting do I need to run this at to have a level looking lift?? Clueless on this…. I am going with the 6112/5140 setup with the 2″ Icon Springs in the rear. I have a CVT 3-Person Tent on my roof rack, along with the Gobi ladder & Artic Cooler in the rear space. With the rear 2″ inch springs and the xtra weight on top and in my SUV. What setting do I need the 6112 on to achieve a level looking lift? Does it need to be the 2.55 Top Setting or the 2nd highest at 2.21 to achieve the level and lifted look?? Thank you so much for the help!!! 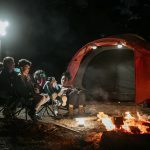 Great article. Another good read! 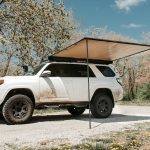 Why does some websites say the OME 2895 and/or Icon Rear Spring (ICON 52700) won’t fit a 2014 4runner trp ? I very much appreciate the useful information that Trail4Runner provides. It is a treasure trove of useful info and insights. I recently purchased a 2019 ORP w/KDSS. After researching the multitude of T4R forums and blogs and considering how I plan to use my new vehicle I have decided to go with the Bilstein 6112/5160 setup with Icon rear coil springs. This seems to be the best combination of performance and value for my needs. 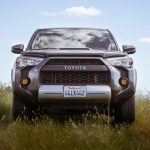 I understand that T4Rs with KDSS tend to have a passenger lean and that the stock suspension is tuned to accommodate for this (https://www.toyota-4runner.org/5th-gen-t4rs/244480-yet-another-kdss-lean-thread-2.html). Not wanting to exacerbate this propensity with an aftermarket set up, I have a very specific question. Would you recommend setting the front passenger shock a ring higher than the driver side, leave the front shocks the same, or perhaps add an Ekstrom Designs ¼” shim on the front passenger side? I don’t want to have to mess with this after the initial install and pay for additional labor costs and deal with general frustration after the fact. Perhaps the right answer is to level the KDSS per the procedure outlined by Australian Images (https://www.youtube.com/watch?v=xtURdW66WM4) after an install that keeps the setup the same with both left and right fronts. Thoughts, comments, and recommendations associated with this specific setup are much appreciated as I have already purchased the parts!